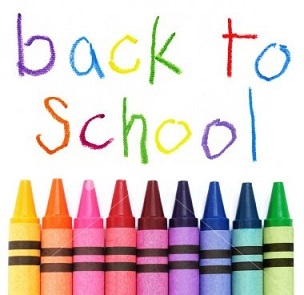 Back-to-school is often stressful for children, especially young children. Young children aren’t very good at feeling competent and masterful in new situations. Uh-oh….a new classroom! Where do I sit – where’s the bathroom – what should I do first? Uh-oh…a new teacher who looks and acts just a little different than the teacher I love so much from last year? Uh-oh….new kids! Some look nice but some are a bit pushy and loud or some cry for their mommy and that makes me miss my mommy too. Oh jeez, oh man…and they want me to remember where to put my name when I play, clean-up when I’m not even finished yet, sit when I want to twirl, and say “I’m sorry” when I really needed some help here. Teacher, do you see me, do you know me? I’m too little to tell you everything you need to know about me. Heck, I’m too little to know everything I need to know! Young children are looking to parents for help but how? Back-to-school is equally stressful for parents trying to guide, lead, reassure uncertain children into this big unknown – new teachers, new classroom, new peers, new routines, new expectation. HEEEEEEEELP! Teachers are incredibly resourceful. They have done this before and expect children to need help and support. Of course, your child is an individual but you can trust that teachers understand the developmental needs of each age and stage. This gives teachers a magic bag-of-tricks: funny voices, silly shtick, gentle knowing eyes, accepting smiles, movement games that release anxiety, activities that capture imagination and wonder, a heart full of patience and a classroom where your child will feel special. Look closely at any thoughtful Early Childhood classroom and you will see an environment designed for love and belonging. Your child is never alone in an Early Childhood classroom. An early childhood classroom is a touchy-feely world of safe feelings, friends “just like me” and an easy to navigate child-sized world of fun and predictability. Your child has amazing skills too. Trust that your child is capable, even when learning and growing. Early Childhood programs celebrate each child – the classroom mayor, the social butterfly, the watchful wise side-liner, the exuberant helper and the intensely creative out-of-the-box mess-maker. Teachers are used to lots of personalities and learning styles in any given class. Trust that your child can and will express himself, can and will ask for what she needs – maybe not always maturely “using her words” but that’s ok too. Preschoolers are not places that require maturity. They are learning laboratories where children get daily practice learning to share, wait for their turn, discover that parents always come back, collaborate with friends, and learn a ton of responsibility from washing hands to cleaning up. Trust that your child can learn new rules, solve problems with new friends and discover all kinds of things that make him really proud of himself. Trust that the decision you made is a good one. Of course, doubts and what-if’s can through you into a tizzy and undermine every last shred of confidence. Parents have a learning journey too. You are giving your child a priceless opportunity to be a little more independent, a little more resourceful and discover a million fabulous new things and people. Sure, that’s scary but learning that the world is safe, kind, loving, exciting and fun is…priceless. Spend time with your own feelings about change and uncertainty. Did you see the movie Inside Out? We all know it isn’t just for kids. Sadness, Anger, Fear and Disgust can get pretty loud in your own head, “headquarters”. Listen to them with acceptance. Give all those emotions time to manage all the new incoming experiences in your life before you lose faith. Learning is a process and trust is built on relationships. Even if everything isn’t perfect on Day One. Your child’s teachers have the skill and experience to create a safe, loving and wonder-filled experience for your child. Your child is also learning new social-emotional skills. School isn’t about knowing everything on Day 1, intellectually, socially or emotionally. As each relationship deepens – child-and-teacher, teacher-and-parent, even parent-and-child as they travel this new road together – each person understands more. Through that familiarity is comfort, and through comfort is trust. Let the trust grow.